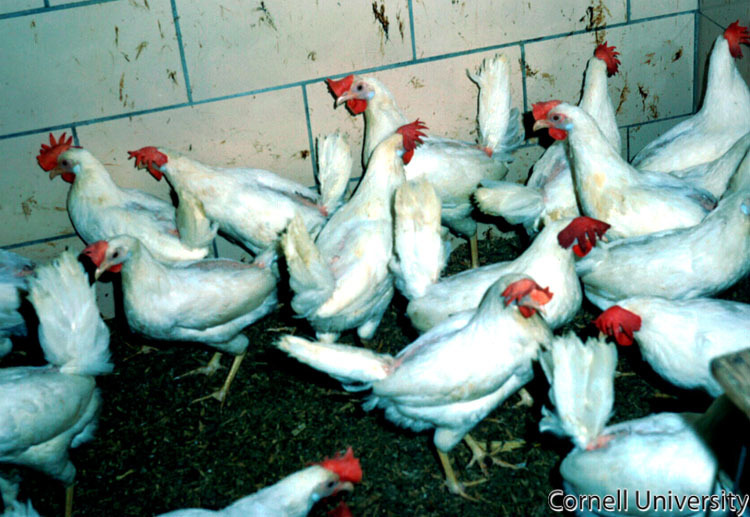 Within 24 hours post-infection, chickens infected with infectious bronchitis virus may begin to show signs of respiratory disease. This flock of layers is exhibiting a mixture of respiratory signs including coughing, sneezing, and rales. In flocks of birds older than 6 weeks of age, these signs may be subtle and may only be observable at night when the birds are normally quiet.